Beautiful pale green globular shaped Wavellite mineral on matrix from Montgomery County in the Ouachita Mountain area of Arkansas. Wavellite assists one in looking at the overall bigger picture before making a decision. Wavellite helps one to manage difficult situations and provides all around information to complete a task or come to an informed decision. 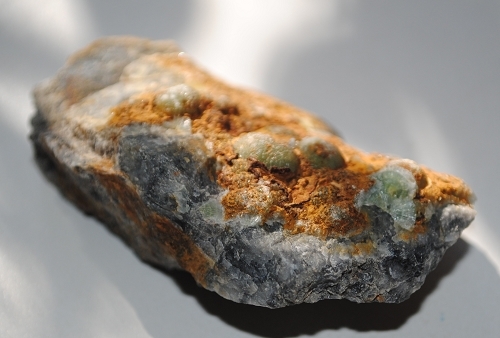 Wavellite enhances the flow of energy producing increased stability and healthy balance within the physical body. 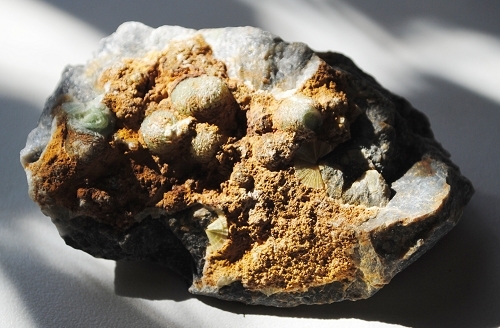 Wavellite facilitates soul healing on a deeper level and may reveal the core beliefs that lead to dis-ease. Wavellite provides excellent support for those seeking emotional healing as it facilitates the clearing of past traumatic or abusive energies held within the emotional body. 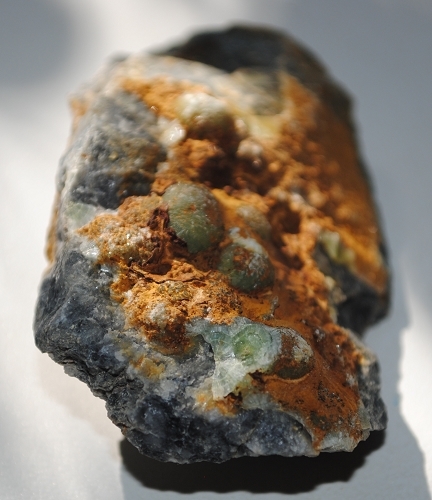 In healing, Wavellite may be used in the treatment of blood flows and balance in blood count ratios. 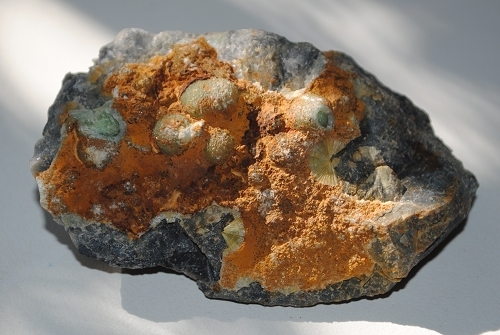 Wavellite may also be used in the treatment of dermatitis.